Super personal story unlike what I normally share on social media, but so many have asked about Dax’s story and how he got here and in 2019 one of my goals is to open up myself more and document more of my life. I want to start by saying sharing this story is supposed to be about hope and the mothers intuition. I wouldn’t share it otherwise, I know there are many out there who have had much harder journey’s than I have. I haven’t forgotten how hard that loss is and everyday I still battle grief. When your young and in love and get married you expect certain things. I think we were naive enough to just expect to be parents one day. Like it’s easy. We took our sweet time starting a family, we didn’t get pregnant for a long while after being married. We got pregnant easily, as expected. The pregnancy was textbook. 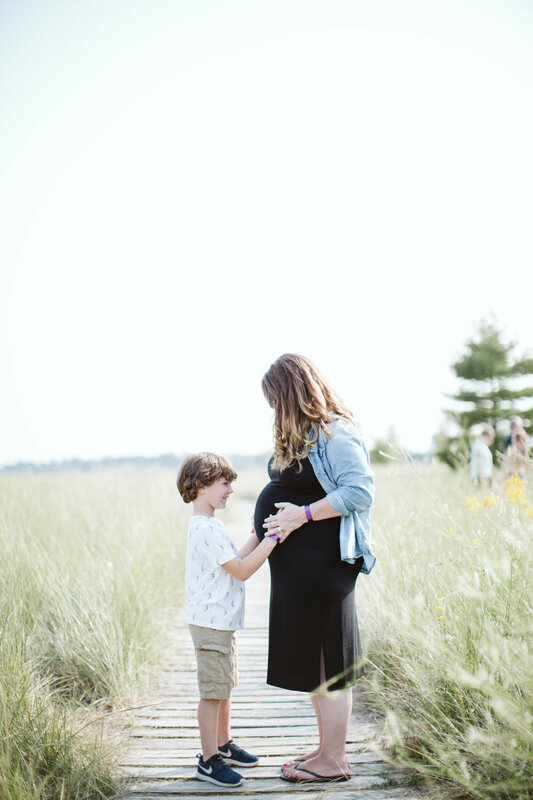 We really wanted a boy and we did all the things, gender reveal, cake, party, the works. Although Teag was a BIG boy and came in his own sweet time, overall the pregnancy and motherhood was easy. We were so lucky. Fast forward two years later, we were ready for baby # 2! So we starting trying and boom, pregnant again as expected. I took a test and found out but the next day it all ended. We lost our #2 baby. Probably the most shocking loss for me because we were living in a land of rainbows and unicorns and these things didn't happen to us, except they did. in 2012, our son Cooper was born, life was great. But things got rocky for us in 2015. When Coop was 3 years old we got pregnant. We lost again. Except this time we were naive again. We had Second trimester loss. I lived in the world where you make it to 12 weeks (so they say) your golden but we weren’t. We moved on eventually, we dived right back into life with my boys and healed. We were going to be ok. In 2017 we were pregnant again. I was cautious this time, my blinders were off, anything could happen. And it did. We lost again in the second trimester with no reasons why. The hardest loss. The grief changed me as a person. I can barely explain it. Tests were done during the pregnancy and after and we got some news from a specialist we were working with in Rochester. I have Rh Factor which is common in most pregnancies. A lot of people have this (I’ve had it with my living boys) but we found our condition was serious. My Rh status became a problem because it was found that the Rogam shots I was given with the boys to protect the pregnancy, I had become immune to due to a cross contamination in the blood (during one of the pregnancies) The shot that kept my pregnancies safe no longer worked. As we seen a specialist in Rochester and in some very big terms they basically said, this is not safe to have another pregnancy. A safe blood titer (level of this antibody- more below) is under 16 and my blood titer was a 31. Not safe. Not at all. Rh incompatibility is a condition that occurs during pregnancy if a woman has Rh-negative blood and her baby has Rh-positive blood. "Rh-negative" and "Rh-positive" refer to whether your blood has Rh factor. Rh factor is a protein on red blood cells. If you have Rh factor, you're Rh-positive. Normally, being Rh-negative has no risks. But during pregnancy, being Rh-negative can be a problem if your baby is Rh-positive. If your blood and your baby's blood mix, your body will start to make antibodies that can damage your baby's red blood cells. This could cause your baby to develop anemia and other problems. So, Although heartbroken we were SO incredibly thankful for the two children we had and we took the diagnosis seriously and that was it, we were permanently a family for four. We prevented more pregnancies and we really focused on our boys and our happiness, we traveled and really became content in life again. Although we took the news very seriously. We never permanently got “fixed”. At the time, It felt like another loss for me. The final loss. I (more so than my husband) kept an open door. I knew our family was complete, but for some reason, I kept a glimmer of hope. Overall we knew, it was not safe to have more pregnancies and I could not bare another loss. I couldn’t. The grief. OMG the grief. I had to learn to manage acceptance and grief. It was the hardest thing I maybe ever did/ am still doing. But the permanent fix It’s just very final. I wanted to be mentally ready for that. I absolutely felt compelled to keep that door open for a bit longer to heal my heart, so we used other precautions. While having that final fix appt on the calendar. Sadly, Everyday was torture. Was this the last day of my pregnancy? Every appointment was like walking through the gates of hell. Was today the day we would find no heartbeat? This happened to us before x 2 so I was hardened emotionally by this time. When we found out we told NO ONE. Not a soul. We decided we would make milestones. When we get to 20 weeks and see if the ultrasound is good we will share the news. Then we met that goal. the ultrasound came back completely normal. I hadn’t been 20 weeks along since Cooper. So although a big milestone, I was not convinced. Fear took over again as we had to see the Rochester specialist at 25 weeks, so we moved our milestone to 25 weeks, if all went well with the specialist we would share the news. Then the specialist made a treatment plan, weekly Level II ultrasounds, Anti Stress tests and blood level checks. So we waited for those to start, then we would tell. Absolutely showing at this point, I managed to still hide this for another week or two. It felt like we were keeping this precious baby a secret from the world, but I just couldn’t face it. I woke up every day believing it was my last pregnant day. I didn’t want to share the news and then have to explain to everyone what happened. Thoughtful gestures, prayers and words do not bring my babies back. In fact, it usually made me feel worse. It DID make me feel worse. A lot of worse. Every “I’m sorry” drudged up the feelings. Explaining the lengthy story of our condition was exhausting. We opted to keep it on the downlow. Our family and closest friends found out at about 25 weeks. The word started to spread by 30 weeks. Facebook and Instagram never found out. because it wasn’t publicly known until about 30 weeks (fully showing at this point) and my specialist wouldn’t let us go past 37 weeks. This felt like the shortest pregnancy of all time! So that was the surprise part. When meeting with the specialist long ago, we were told my levels were so high (31) and levels do not go down. That is a high level of antibody in my blood that would pass to the baby through the placenta and be fatal. Still Born. Those words. The best case scenario was an “In womb blood transfusion” to get my blood out and healthy blood in. IN WOMB BLOOD TRANSFUSION was our best case scenario to having a live baby???? The labs started at 26 weeks. Here’s the miracle part. The first lab levels came back a 4. Yes a 4 and you read it right, my levels were a 31 and “would not reduce” per the smartest specialist I ever met. So we did the labs again and get this, this time they had two different technicians in two different labs run the tests. Both test came back…. a 4. The number 4 was my new best friend. But we had many more weeks of labs. The next week was a 4, the next week 4, and the next and the next. HOW is it a 4? This basically means that my Rh incompatibility was diluted in my blood, in my body, in the baby. Super diluted compared to a 31. A 31 is catastrophic! A 4 is not. But how is it a 4? No clue. Labs stayed a 4, we were stumped. We all were but most of all our specialist in Rochester. I didn’t buy anything, we didn’t find out the gender. (Answer to a very popular question- Nope we weren’t going for a girl in case you missed the entire beginning of the story, this was a surprise pregnancy and gender was superficial at this point, we wanted a healthy living baby.) I barely wore maternity clothes outside of 4 pairs of pants I found. I didn’t open my heart up to hope. I kept that door closed to shield my heart. It is so sad to me now, because it was a really enjoyable pregnancy and I deeply miss that belly. I wish I had soaked it up and enjoyed it but I was so afraid. I want to feel that belly again so bad. SO bad. Here’s Cooper and I in August in Sheboygan. Suddenly, our ultrasounds were passing with flying colors, I feel like I became BFF’s with our tech, she was so excited to see our baby week after week. Growing, healthy, moving! She always gave me a full report to ease my mama heart and I love her for that. At 35 weeks pregnant I bought my first baby item, a huge step for me as I was opening the door to hope. Can you believe that? 35 weeks I opened the door to a miracle. Man, I am stubborn! During the pregnancy- 32 weeks, 33, 34, 35 as time went on I wanted so badly for them to take this baby. It was safer on the outside than on the inside. But as we rounded 36 weeks and the time was nearing, I got nervous. What if its too early? the baby is doing great, what if we take it TOO early? can you imagine my mental health at this point? take the baby, don’t take the baby, every week dying over lab results and walking slowing into that ultrasound room with crippling fear? If I didn’t feel the baby move I would do crazy things to make it move again and give myself relief. But then, Oct 22 we did the labs…. they came back an 8. Whoa. an 8? I got SO comfortable with a 4 that the number 8 was foreign to me. The levels are creeping up. That’s my sign. RIGHT there, the universe said Mama, it’s time. The delivery was scheduled for the next morning 5 AM arrival. A scheduled C-Section, not a glamorous birth story of amazing moments but definitely the most amazing moment of our lives. Dax was born healthy, alive and screaming at 8:18 AM, He was 7 lbs 9 oz and 19 inches long. Pure beautiful perfection. One of the most profound moments of my life was hearing them say “here comes the baby” and immediately we heard WAH WAH WAH…a BIG, deep healthy cry. Everyone sang happy birthday and I let out the biggest most genuine sigh/laugh/ cry of my life and then the tears bursted out of me. Happy, relief tears. Jason was crying because I think for the first time in a long long time he seen his wife again. I was gone for a while, grieving. It was the most beautiful moment I can think of honestly. Obviously the births of our other children were treasured moments, but they were never in real jeopardy of not surviving. That’s Dax’s story, and how he overcame the odds. We so believe in miracles and meant to be. I mostly believe in my own intuition now, My soul told me to never give up. That strong sense telling me to push forward, to not listen. Humans are incredible. Mama’s are incredible. Our souls are incredible. production. The antibodies return to the fetal circulation and result in RBC destruction. Our Neonatologist Dr. Dennis was very thorough and told us exactly what to do. To avoid phototherapy and an admission for Dax, he needed to eat and poop. Normal for babies right? But absolutely necessary for Dax. This will naturally pass the bilirubin. So we made a plan to nurse and pump right away and even supplement if needed. It was the only way to pass this antibody. We did it! Dax also passed those labs with flying colors and avoided any further treatments in the neonatal unit. 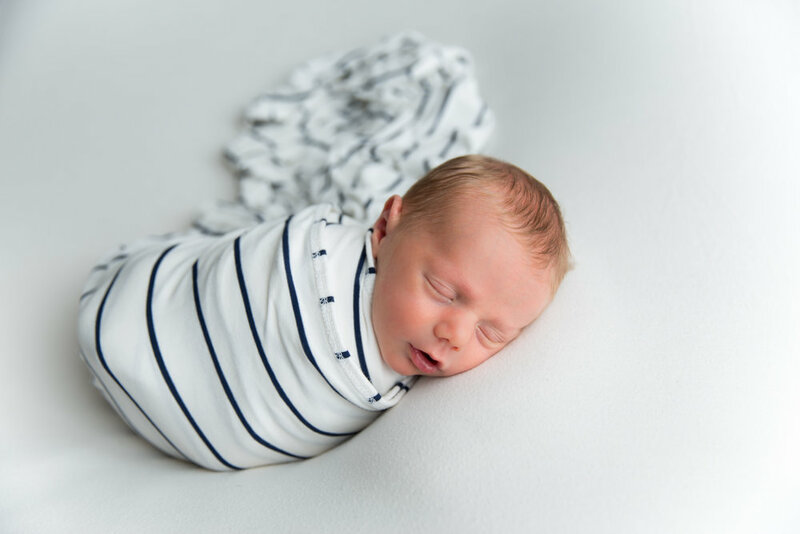 Although there are many meanings on Google, we found that Dax means Leader which we felt fitting, but Jason has liked and wanted the name Dax since our oldest son was born. So by the third son, I gave in to the name and now I really like it and it fits our little leader. We’re incredibly thankful, in awe of life miracles. We are believers. Blessed beyond measure with this gift given to us. Dax is fitting in perfectly, the age gap between him and his brothers is more than we would have wished for but things don’t happen in your planned time and we just love him and everyone adjusted so easily. Thank You everyone for the well wishes and thoughtful gifts! We were blown away by the support and excitement that surrounded his birth announcement.